A Swedish family thought there was a mouse that had their cat on the run. But to their horror, they suffered the shock of their life when they discovered that the mouse was indeed a 15 inch rat. The Bengtsson-Korsås family realised something was wrong when their cat Enok refused to enter the kitchen of their flat in Solna, north-west Stockholm. The monster rat measured 15 inches, without its tail, and had made it into the family’s flat by chewing a tunnel between a wooden panel and concrete. The rat was pretty determined. The family did not discover their gigantic guest until it was time to take out the bins. 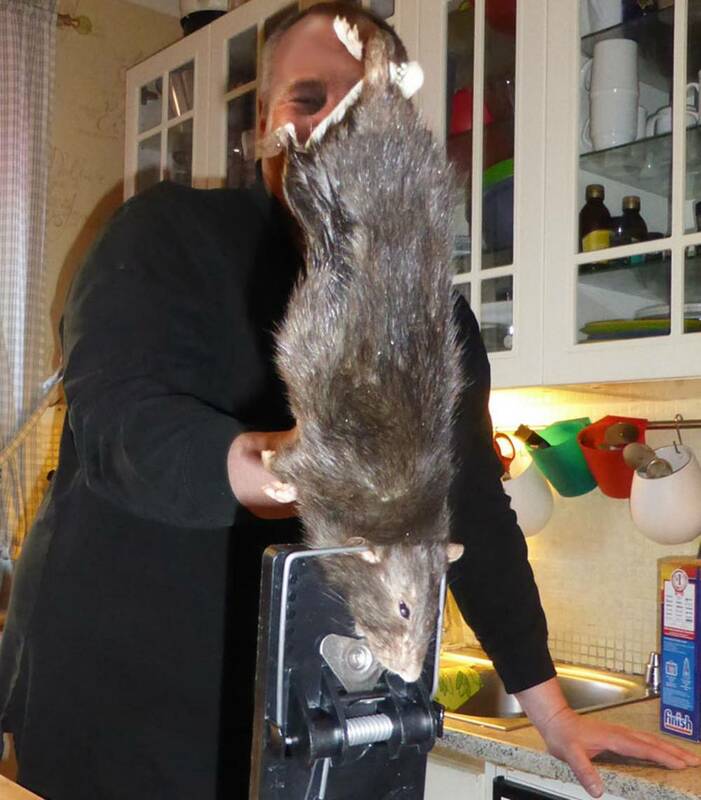 Despite attempts from Mrs Bengtsson-Korsås and her two children to scare the rodent, the huge rat grew bolder and came out in the open onto the kitchen floor. 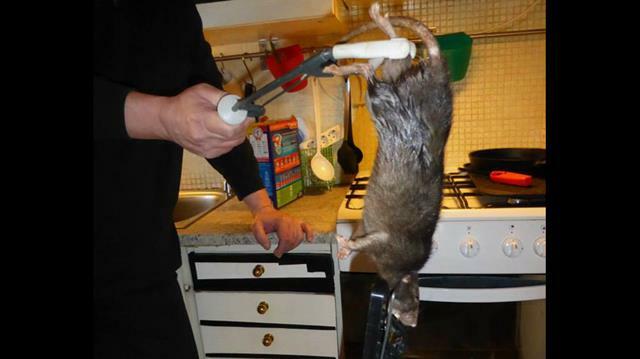 The family called the exterminators and used 3 large heavy duty, industry-sized traps to catch the rat, and less than a day later one of them snapped. The family checked, but the trap was gone. The rat was so big and powerful that it had continued on it’s merry way and carried the trap with it, still snapped around its neck. ‘It didn’t die when it went into the trap, but scurried away. It went underneath a wooden plant, where it got stuck and choked itself to death. It was the biggest rat I have ever seen, and it looked like it was in good shape as the fur was nice,’ Mr Bengtsson-Korsås said. “The kids were afraid it would come back to life as some sort of zombie rat. They didn’t want to touch it. It was quite a shocking experience. No one wanted to go into the kitchen after, and the cat was terrified for a week. 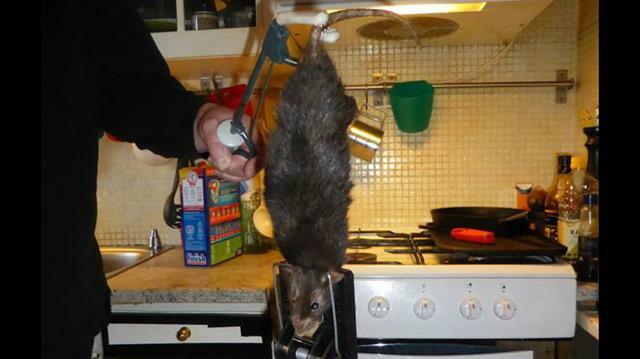 The pest controllers said they’d never seen such a big rat before,” Korsås added. That had to be scary. I would have left everything behind and sold the house as is! LOL. What are your thoughts? Post your comments below.